Much of biology has traditionally been concerned with the classification of objects, especially of course organisms, the best known example probably being Carl Linnaeus’ Systema Naturae, first published in 1735. 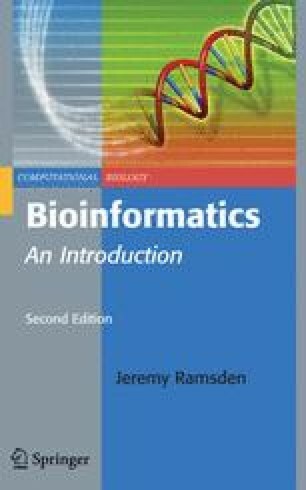 As knowledge has continued to expand, the desire to classify has also spread to bioinformatics and its objects: genes and other DNA sequences, proteins, and other molecules. As the numbers of objects stored in databases has grown, some kind of systematization has been seen as essential to aid database searches. Unfortunately, most classification almost inevitably results in distortion, and more rigid classification, the more severe the distortion. Linnaeus himself considered that his classification was to some extent artificial.